Price per person, does not include dives and diving fees. In this course (7,900 ₱ per person, dives not included) you will learn how to dive with Nitrox (oxygen level of 40 %). This skill is also required for higher level SSI ratings like Advanced Open Water Diver or Master Diver. You can request an individual Nitrox Level 2 training session via the “Request Training” button further down below or visit our dive training information page to learn more about the available SSI ratings (and maybe request a quote for an advanced course package). You can choose between online listing only (2,900 ₱) or receiving an additional C-Card (3,200 ₱) after completing your education. 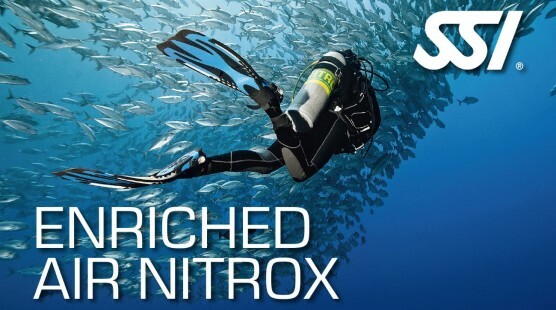 Certification is mandatory for the Nitrox course and is not included in the dive training price. Please choose which dive offer you would like to combine with the training course. For Prices and Diving Fees please refer to our Price List (right-click and choose "open in new tab" if link doesn't work). Do you need transfer from/to the airport? You can add extras below. All prices are per dive and person. Anything else you would like to tell or ask us? Prices are subject to change. By using our request form you are making a reservation which remains not binding until it is confirmed by us. There may be the need for changes or individual arragements in some cases depending on availability. You may also include special requests by using the message text box at the end of every form.